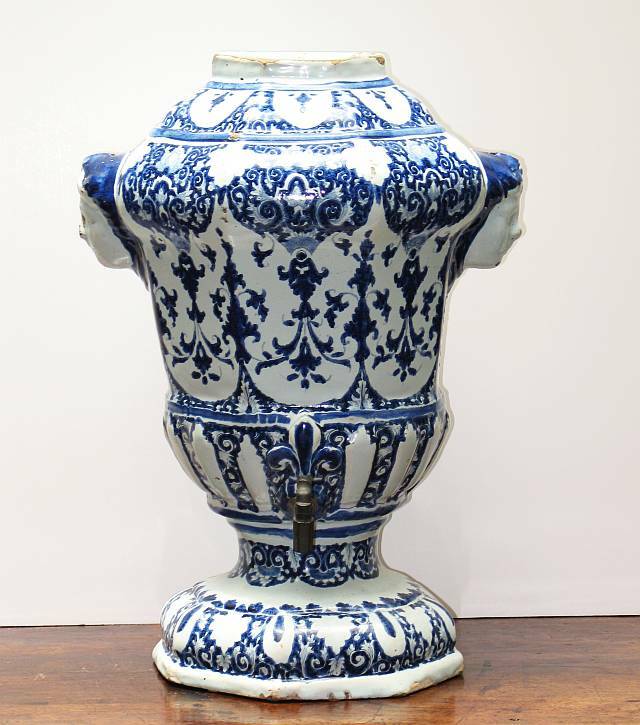 French Faience urn with blue and white decoration with masks on sides. Brass spigot at front. Missing lid.